It had long been a dream of alumni that the Alumni Association would have a "home on campus." 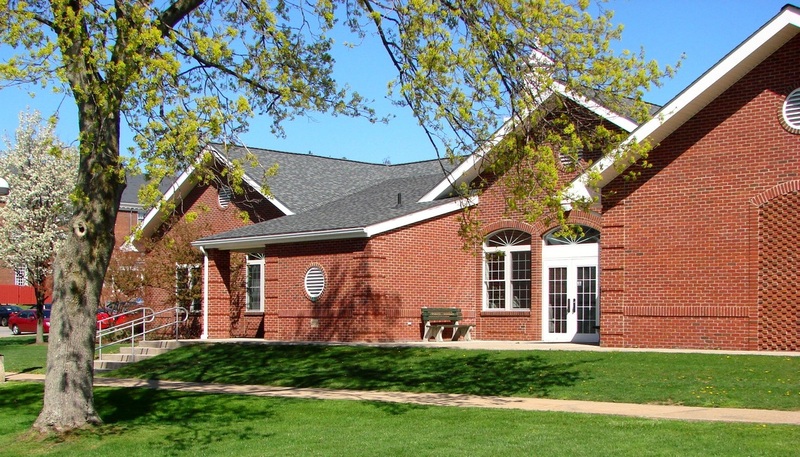 In 1998, construction was completed on a 5,000 square foot building that would house alumni affairs and be a welcome center for visiting alumni. The building also includes a large reception room for 250 and a memorabilia room. Nearly 2,000 alumni and friends donated funds for construction and furnishings. Gifts ranged from $5 to the naming gift of $100,000 from Dr. Russell Wright, Class of 1923. On Homecoming Day, October 3, 1998, the building was officially dedicated. Since that time, use of the house has grown tremendously. More alumni, faculty, staff and students use the facility than ever before for a variety of meetings, events, and reunions. The Alumni Association Board of Directors felt it was time to expand, so in 2004 started to make the expansion a reality and to call the Alumni House the Russell Wright Alumni House and Conference Center. Construction started in early 2007 and was completed in May 2008. The newly remodeled facility includes almost 3,000 square feet of new space for receptions, conferences, meetings and reunions. The grand reception room can be divided into two smaller rooms with a retractable soundproof wall. Each room features state-of-the-art technology for presentations, music recitals and conferences. The outdoor patio between the Alumni House and the old West Gym has been made larger, and more than 350 customized brick pavers have been installed. Bricks can still be purchased for the outdoor patio. View venues and buildings that are available for rental for both On-Campus and Non-Campus groups. Create your own campus legacy by purchasing a brick for yourself or for someone who was an inspiration to you. See the latest images of the Alumni House, including several events occurring there.